I love repurposing leftovers. Not reheating, that’s gross. Nope, it’s fun for me to make leftovers into a completely new dish. We had some leftover ham from Easter, so I thought it would be cool to make a classic omelette with ham and cheese. Because I can’t make anything without vegetables, I also tossed in chopped peppers, and onions for gorgeous pops of color and texture. Before you think I’m a fancy omelette maker, allow me to let you in on a not-so-secret: I don’t have the patience to make individual omelettes. Seriously. I stink at flipping them, they take too much effort, and for a perfect omelette you apparently need a special shallow plan. Screw that! 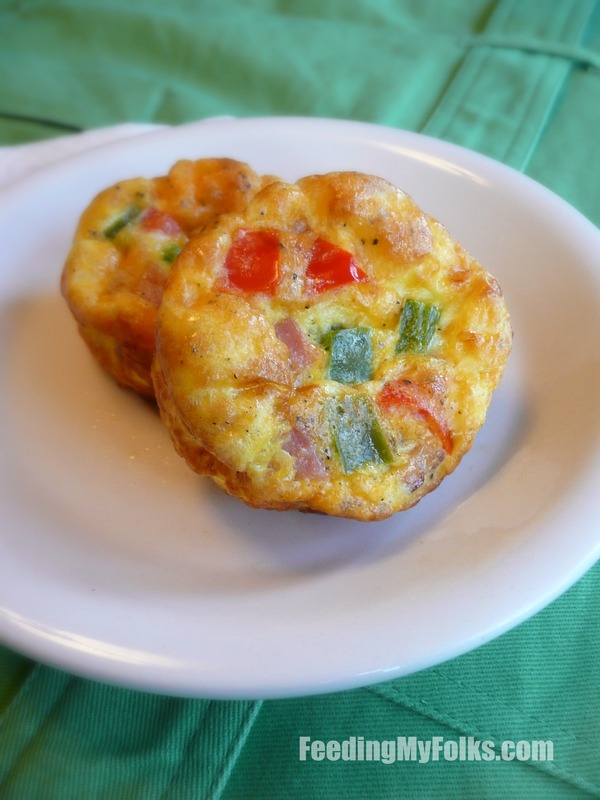 Therefore, I make omelettes my way – in a muffin tin. Some people call them frittatas, others might label it a crustless quiche…but lets be real people, it’s a mini, no fuss omelette. 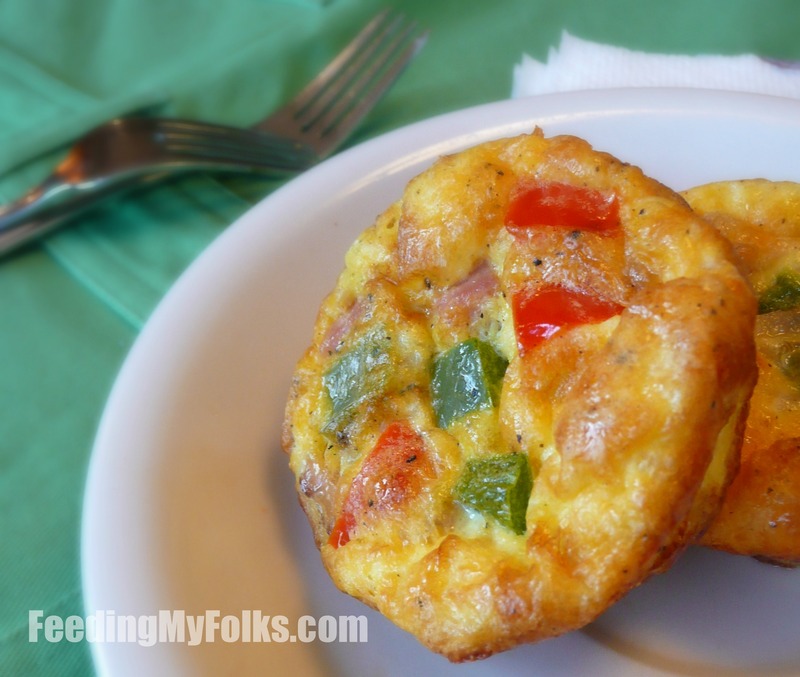 Use whatever ingredients you like, bake, and have the perfect bite-sized omelettes. In the comments below, tell me how you like your eggs! In a sauce pan over medium heat, add the butter, ham, peppers, and onion. Sautee for around 3 minutes. Turn off heat. Allow to cool. In a bowl, whisk together the eggs, milk, and cheddar cheese with a pinch of salt and pepper. Pour around ¼ cup of this egg mixture into each “cup” of a greased muffin tin. 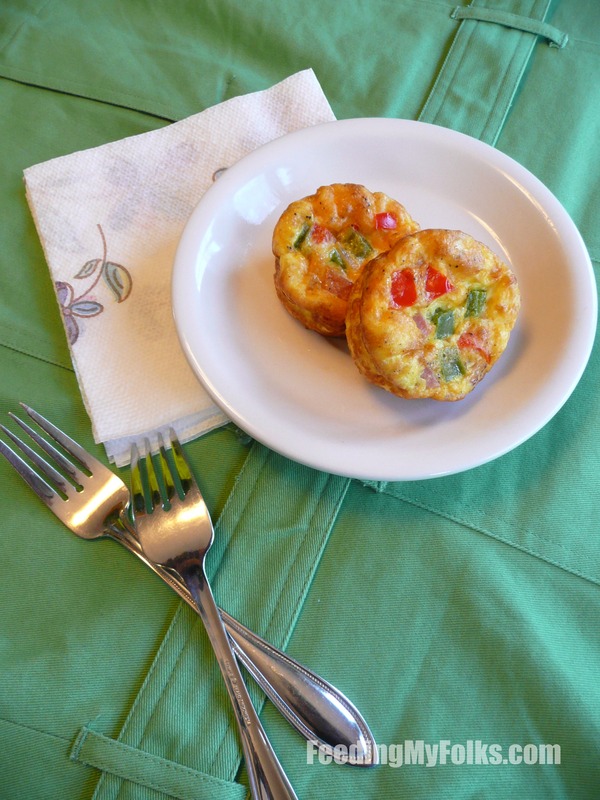 Add an equal portion of the onion/pepper sauté to each of the egg filled muffin cups. Insert the muffin pan into the oven and bake for 20-25 minutes, or until the eggs are fully cooked. Remove from the oven, cool slightly, and then remove the frittatas from their cups.